A link to the label Tru thoughts is now in the links list, nice web radio to listen from the Brighton ‘s studio, near the UK coast, and of course , the Nostalgia 77 label. Several pretty good jazzy stuff overthere! Ben Lamdin’s creations range from heavy funk, to hip-hop based beats mixed with dusty old jazz, obscuro funk and psych bits and pieces. Nostalgia 77, aka Ben Lamdin, first burst onto the scene with his heavy, new funk based sound in 2002. His hard work and prolific creation process has led to the release of many outstandingly high quality albums in a relatively short amount of time, containing a diverse and varied fusion of styles and influences from more mellow, solemn, moody yet beautiful offerings to more upbeat, heavy funk, hip-hop based beats mixed with dusty old jazz, obscuro funk and psych bits and pieces. This driven sound spectrum of audio offerings led to the development into the full 2007 nu-jazz orchestrated release of ‘Everything Under The Sun’ in March 2007. This hard work ethic, gifted writing talent and dedication to his music contributed towards Ben winning the ‘Jazz Album of the Year’ award at the ‘Gilles Peterson BBC Worldwide Awards’ in 2006. The success of this release led Lamdin to a style he describes as “a combination of soul and jazz composition with computer based production techniques”. Coming from producing hip hop style beats he had always heard snippets of jazz tracks he loved, so the fuller musical expression of actually making his own jazz music was inevitable. His cover version of The White Stripes’ “Seven Nation Army” with Alice Russell has also helped bring his mission to a wider audience. Aiming for an edgy sound whilst continuing to search for a more personal expression, Nostalgia 77’s influences include free and spiritual jazz as well as 60’s funk and soul and Afro sounds. 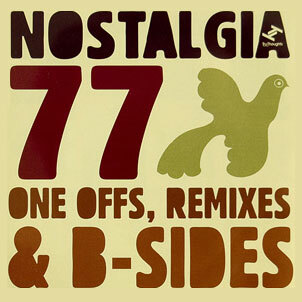 2008 saw the release of Nostalgia 77’s One Offs, Remixes & B Sides album – an eclectic and stunning collection spanning jazz, hip hop, electronica, funk and more – which has gained dazzling reviews. A host of inspired collaborations on this double CD include guest vocals by eminent jazz diva Beth Rowley and remixes from the likes of Bonobo. Nostalgia 77 recorded a Maida Vale session for Gilles Peterson’s Radio 1 Worldwide show in May. His collaborative work last year extended to producing the debut album by new Tru Thoughts signing Lizzy Parks, entitled ‘Raise The Roof’. A heady combination of jazz, soul and cinematic soundscapes, Lamdin’s production on this album perfectly complements Lizzy’s unique talent as a singer songwriter. The latest project from Nostalgia 77 is an intriguing collaboration with bona fide legends of contemporary jazz and avant-garde experimental music, Keith and Julie Tippett. Entitled ‘Nostalgia 77 Sessions featuring Keith And Julie Tippett’, the album came out in April 2009; it is a collection of beautiful original material that spans blues, jazz and soul music, threaded through with experimental flourishes, and represents a journey of musical discovery for all the artists involved. Want to discover more? Check out the podcast Tru Thoughts Podcast. Not to miss it, the song is in the box! Nostalgia 77’s “One Offs, Remixes and B-Sides” is Benedic Lamdin‘s 9th full length release on Tru Thoughts – testament to his acute and original musical talent and prolific and inspired creativity. 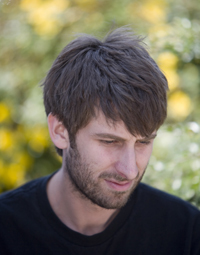 Having already garnered critical acclaim from the likes of Gilles Peterson (Radio 1) and the Guardian, he continues to raise his game. This generous double CD is a diverse collection of rare gems, complete with an impressive roll-call of collaborators, which displays Lamdin’s flair as producer, remixer, composer and more. Sit back for the perfect collision – between a host of instrumental pieces and a dazzling array of songs that show Lamdin’s more recent move towards lyrical work – drawing on the stellar performances of eminent vocalists including Corinne Bailey Rae, Bajka and new Tru Thoughts signing Lizzy Parks. Disc 1 opens with the mesmeric “Quiet Dawn” (Examples of Twelves Remix) featuring sultry vocals from Beth Rowley. The Nostalgia 77 remix of “Knee Deep” by TM Juke is another atmospheric proposition, but on the other end of the mood spectrum, cranking up a palpable tension with layer upon layer of creaky strings. All is then blown away on the breeze that is the exclusive instrumental version of Nostalgia 77’s Little Steps, which floats along next to carry you up to that familiar Nostalgia 77 plain somewhere above the clouds. Wake up though, for Dirty Diggers featuring Nostalgia 77 with “So Grown Up”, Nostalgia composition and Diggers lyrics making a great couple, each adding a new depth to the other. Continuing to demonstrate the strength in depth among the talent on the Tru Thoughts roster, “Solomon” by Natural Self (Nostalgia 77 Remix) takes another refreshing course. This instrumental is catchy, cheeky, idiosyncratic and irresistible. The Nostalgia 77 remix of Kinny & Horne’s “Forgetting to Remember” sports a gravelly beat that crunches through the verse like sturdy steps on a stately driveway… spine-tingling stuff. Kinny’s jazzy and exquisite vocal and the deep double bass from Rian Vosloo add to the dazzling effect of this killer song that is left enhanced but mercifully intact by the remix from Nostalgia 77. The previously unreleased Nostalgia 77 remix of “In Between The Lines” by Bonobo boasts sizzling drums from Graham Fox, Bajka’s bluesy vocals and the bassiest of sax lines. This gritty, stomping tone and a soaring counter-melody, with vocal harmonies towards the tail end of the track, give rich, intertwining layers. Next, The New Mastersounds’ “Your Love is Mine” featuring Corinne Bailey-Rae (Nostalgia 77 Remix). The vocal from Bailey-Rae is characteristically lush and, amid touches of Funk & Jazz innovation, subtly underpinned by the earthiness of an old time Jazz Standard. Elizabeth Shepherd’s (Do Right Music) “Reversed” (Nostalgia 77 Remix) adds yet another twist to the tale. Wildflower, by Nostalgia 77 featuring a stunning vocal performance from Lizzy Parks, appeared previously as the B side to the next track here, a remix of “Quiet Dawn”, provided this time by Bonobo. The countless positive reactions to this as a single were only to be expected from the joining of such maestros. The exclusive Grant Phabao remix of Nostalgia 77’s take on “Seven Nation Army” featuring the mighty vocals of Alice Russell is given a reggae makeover yet retains its irresistible appeal to those bluesy jazz enthusiasts who went wild for this cover version “first” time around. Disc 2 of this set visits a selection of the finest Nostalgia 77 and Octet material, including live recordings of “The Hope Suite” and the previously unreleased “Nativeland”. “The Moon” by Nostalgia 77 featuring Capstone and Lizzy Parks opens with dreamy keys from Capstone (Wah Wah 45s, Ninja Tune) that conjure up evocative harmonies with the jazzy vocals of new Tru Thoughts signing Lizzy Parks. The bass simmering just under the surface all the way through this track gives it a smoky haze that pays homage to the Jazz classics of years gone by. “The Grass Harp” by Nostalgia 77 Octet is another previously unreleased number and The Octet’s “Impossible Equation” receives its first and well-deserved CD release, having featured previously on a vinyl only. CD2 also boasts beautiful instrumental versions of Nostalgia 77’s “Eastwind” and “Stop To Make A Change”.